Agustín José Menéndez is Profesor Contratado Doctor Permanente I3 at the Universidad de León, Spain. Menéndez was researcher at ARENA from 2000 - 2003, and is now adjoint researcher at ARENA within the framework of the RECON project. 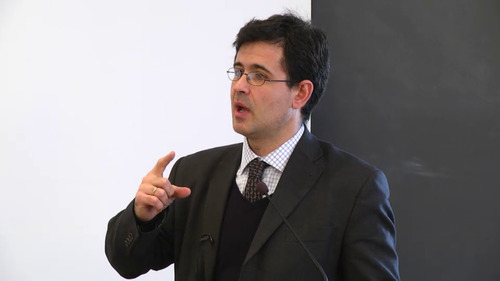 Menéndez holds an LLM from the European Academy of Legal Theory (Brussels) and a PhD in law from the European University Institute in Florenze. He was a visiting researcher at the Universidade Nova de Lisboa, at the Centro de Estudios Políticos y Constitucionales (Madrid). He was the sub-director of the Programme of European Studies of the Instituto Universitario Ortega y Gasset (Madrid).